Low cost airline are a major players in the travel business. They have a share of about 30% of the global market and this is growing year on year. EasyJet have grown dramatically since 1996 when it only had two leased planes operating just two routes. They now have their own fleet of over 200 Airbus A319s and A320s and offer in excess of 700 routes to more than 130 airports in 32 countries, carrying over 72 million passengers per year. Easyjet relocated their operations and crew rooms to London Gatwick, so they could centralise their control room and crew information into one location. AR Media were approached to design a bespoke digital signage installation that utilised Ultra High Definition display technology to create five different layout configurations, spread across 33 LG commercial screens. Each screen layout displays a unique combinations of live , up to the minute flight information and data, together with scheduled corporate communications to crew members with bulletins and announcements. All this is driven by Dynamax’s cloud based software digitalsignage.NET. Security within the airport industry is paramount so the system was closed and advanced security parameters where designed and implemented to suit. The system has multiple users, allowing different departments to have access to their own relevant information, without accidentally affecting others. Full onsite training was provided for all key personal and this has now led to more staff actively involved in managing the system. 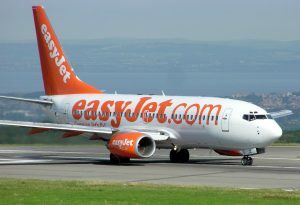 AR media far exceeded the brief set by Easyjet, setting a benchmark for deployment for future sites across the network. This entry was posted in Corporate communications, Digital Signage, Software and tagged cloud based digital signage, corporate communications, digital signage by Dynamax. Bookmark the permalink.